KitchenAid Mini Stand Mixer – Review & Giveaway! With the exclusive launch of the KitchenAid Mini Stand Mixer at John Lewis in September I was asked if I would review this new mini version for readers of the blog. As always I’m happy to try out new baking kit and see what works and what doesn’t. But not only do I have the review for you I also have a KitchenAid Mini in Hot Sauce to giveaway to one of you lovely bakers too! In a nutshell, the Mini is 20% smaller and 25% lighter with the same design as it’s big brother and has an RRP of £399. The Mini fits the regular KitchenAid attachments – spiralizer, food grinder etc, in the same manner as it’s larger counterpart. It’s equipped with the same powerful motor too so there’s no compromise on function. The bowl has a 3.3litre capacity – 8 egg whites, 2kg of mashed potatoes or a 1.6kg cake mix (that’s roughly the size of a 10” cake). And of course it comes with a full 5 year warranty. The model I’m reviewing is in the Honeydew colourway but it’s available in other options – Matte Black, Matte Grey and Hot Sauce too. First impressions from me are that the bowl has no handle and there’s no splash guard included. I soon got used to the no handle situation and I’ll be testing the mixer without a splash guard with trepidation! It is much lighter, noticeably so. If you’ve lugged a stand mixer round the kitchen you’ll know that these are pretty hefty pieces of kit so the lighter version is a plus. It means you could put it in and out of cupboard to store if you’d prefer, without putting your back out. It takes up less worktop space -if you’ve a small kitchen then this will be a useful attribute. The mini has the attachments you’d expect included – a flat beater blade, whisk and dough hook. A bowl with handle, splash guard and flex edge beater are optional accessories which would need to be purchased separately. So to test it out I’ve spent a couple of weeks with this new Mini version, I bake a lot (obviously) and I bake in pretty big sizes usually. I have to admit I was pessimistic that a smaller version, 3.3l versus the 4.8l full size, was going to work in The Pink Whisk Kitchen…so how did I find it? Cakes – yep all great, mixed up cake batters in no time at all and with good end results, it made a mix for a 3 layer 8” cake with no trouble at all. The beater blade rubbed butter into flour for the making of pastry with ease, and importantly without any of the mixture jumping out of the bowl all over the worktop. Yes it really does whisk 8 egg whites and sugar for a family sized pavlova, producing glossy thick meringue ready to do with it what you will. A regular bread loaf dough is kneaded successfully and without any huge effort, in fact no effort on my part, and the mixer didn’t move an inch whilst doing it – none of this walking across the worksurface malarkey. So my last test, and here is where I was sure I would find the Mini’s downfall, at least at the scale I sometimes bake. Beating up a big batch of buttercream – 500g butter and 1 kg icing sugar. With no splashguard I was prepared for a huge cloud of icing sugar to cover the Mini and the kitchen. No holds barred here’s the video – will I be covered in icing sugar or will the KitchenAid Mini win this one too? Well okay I have to admit there was no-one more surprised than me! Not a speck left the bowl, the cleverly designed deep and slim bowl meant that the contents were just beaten together and not flung into the four corners of the kitchen. So the KitchenAid Mini definitely has a place in my kitchen, lighter and easier to move around when I need it, a bowl that is easier to fit into the dishwasher amongst a plethora of other baking washing up and the fact that it copes with any quantity that I need it to means that the mini is a surefire winner with me, beating it’s bigger counterparts into relegation plus it doesn’t need that splashguard! The only downside is that it doesn’t cost any less than the bigger version, but ultimately it is housing the same motor and inside workings as a 4.8l standard size version. It’s a pricey investment at £399 but if you’re looking for the classic iconic style of a KitchenAid Stand Mixer but want that to take up less space then you won’t go far wrong with the Mini. 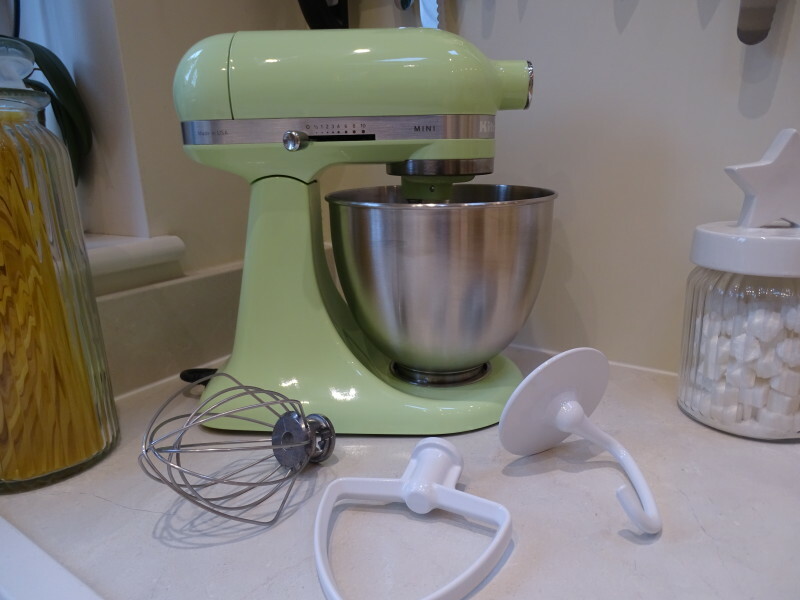 So now to the extra good bit – fancy a KitchenAid Mini Stand Mixer in your kitchen? I have one in Hot Sauce red to giveaway, all you need to do to be in with a chance of winning it for yourself is leave a comment on this blog post telling me what #minimoment of baking loveliness would you mix up and bake in yours? The giveaway closes at midnight on Monday 10th October 2016. One winner will be chosen at random from all the valid entries received shortly after and contacted directly. Prize will be sent directly from KitchenAid. Giveaway open to UK residents only. Full T&Cs can be found here. Please remember if you’re reading this via email you will need to come to the website and leave your comment on the blog post – click on the pink title in the email and it should take you directly there. Comments are left by scrolling to the end of the article and leaving your comment in the box by Leave a Reply. This entry was posted in Giveaway, In The Pink Whisk Kitchen, Review, Ruth's Chat. Bookmark the permalink. 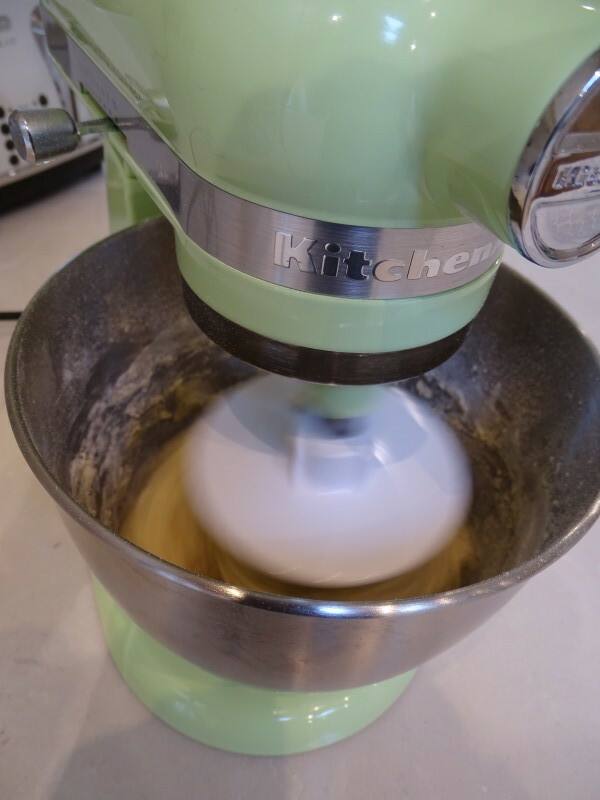 729 Responses to KitchenAid Mini Stand Mixer – Review & Giveaway! Would love to mix up some great birthday cakes for my dad’s 70th and hubby’s 40th….both in October!! Robustness is what I am looking for, in a mixer, when I prepare a batch of bread dough for my Roly Buns! My #minimoment would be mixing up a batch of carrot and pineapple muffins or courgette and cheese muffins with the help of my girls. We’re learning to bake healthily together with the occasional sweet treat in between. I would love love to own one of these to try all sorts of breads and cakes but the first thing would be macaroons. I like to experiment with colours and flavours. Would love to try meringue in this especially when you’re mixing a smaller amount of egg whites! My #minimoment would be gingerbread cookie dough truffles covered in white chocolate, because it’s getting to gingerbread season now! My little boy and I would have a #minimoment making our famous marble cake! Ha! Forgot to add that this would be my #minimoment! My first #minimoment would be to take over the reigns and make the family Christmas cake for my Grandmother who recently turned 90 – looks like the new KitchenAid Mini would be a great help! Great Review. Think I would bake a coconut and Line cake. Sandwiched together with lime marmalade and buttercream . 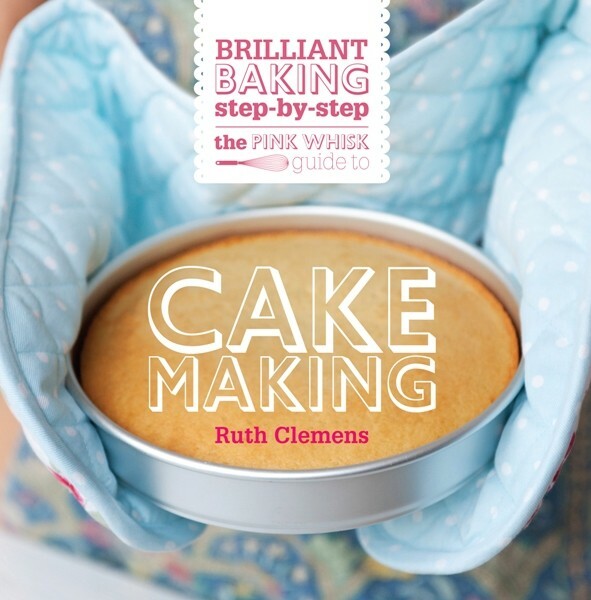 My #minimoment would be the pink whisk best ever ginger cake recipe. The nights are drawing in, misty murky mornings and autumn colours setting in – ginger cake time! My moms birthday is next week and she’s had her eye on one of these for who knows how long! It’s something we’ve never really been able to afford, I do believe she would be overjoyed if I won one for her! My #minimoment would be making cake balls!! We love to make any flavor cake balls imaginable and a mixer like kitchen aid would be amazing to have!! Thanks for the chance! My #minimoment would be to make chocolate and marshmallow muffins with salted caramel buttercream. Having made a 5 layer chocolate truffle birthday cake for my husband, iced Star Wars birthday cookies for my brother and my Dad’s 60th birthday ‘Spitfire’ cake, my #minimoment would be to treat my amazing Mum to something special for her birthday in November! She loves an afternoon tea, so there’ll be yummy sandwiches, mini scones with jam and cream, and a selection of mini cakes for her! My #minimoment would be whisking up some aquafaba for my eggless chocolate cupcakes. My son loves to help me bake and a stand mixer would let him help me even more as I wouldn’t need to hold on to the hand mixer. Recently learnt how to make Merangue kisses, would love to use this #minimoment to make lots and lots. A chocolate sponge,and banana bread would be my first things to try with this lovely kitchen aid . After many years of loyalty my Kenwood has gone to theat place in the sky where hard working stand mixers go for a roast 😢 worryingly close to my parents 30th wedding anniversary!!! I love to spoil them with tasty cakes and it would be simply fantastic if I won! I’ll make them the biggest darn cake ever! I’d love to win this as I’ve just bought my first house and have always dreamed of owning a kitchen aid! #minimoment would be finally be able to make proper bread. I love the idea of all that buttercream and no mess. That’s what I’d do first. My #minimoment would have to be whisking up many egg whites for a rainbow display of macarons. The size of this little cutie looks absolutely perfect for this…..I am smiling just thinking about it! A very thorough review! My #minimoment would be making lots of different kinds of bread & pizza bases! My #minimoment of baking would be an amazing birthday cake for my daughters 1st birthday in January!! And as she gets older I would love for her to be my little baking assistant! The first thing I would mix up would have to be classic chocolate chip cookies… Just like my grandmother used to make of course!! I would mixing a batch of chocolate fudge cake as it’s a family favourite. Looks fab if only I was lucky enough to win one. 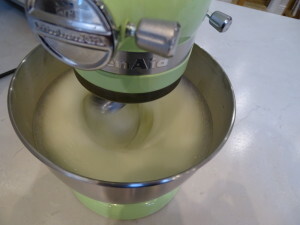 My little boys and I would love to cook up some sweet treats in a Mini Mixer. They both love cooking and I’d love the look of this in my kitchen- win win! My #minimoment would be to whisk up meringues as it’s a real family favourite. My #minimoment would be meringues: big ones, small ones, plain ones, chocolate ones. It is always a little bit of magic watching them transform into mounds of shiny fluffiness!!!!! My #minimoment would be a batch each of my cocktail cupcakes: Piña Colada (made with fresh pineapple and creamed coconut frosting, flavoured with a touch of 🇯🇲Jamaican overproof rum – yes the good stuff!) complete with a cherryand cocktail umbrella! Then Mojito cupcakes made with treacle, dark muscavado sugar and flavoured with a touch of dark 🇨🇺Cuban rum and finished with frosted fresh mint leaves. Tastes of the Caribbean to stretch the summer out just a little bit more!! My #minimoment of loveliness would always be a classic Victoria sponge! Love the classic look of this new Kichenaid mixer! I make batches of cinnamon buns so this little wizard would be a great asset! Meringue. Meringue meringue – all day long. My #mini moment would soon turn into a Maxi moment, baking is my solace! I’d start with a delicious chocolate cake! Always a winner! My #minimoment would be a 40th birthday cake for myself. Looks fabulous! My #minimoment would have to be baking the chocolate cake for my little boys 4th birthday that he has asked for! And a great plus is that the red would finally help bring a bit of colour to my otherwise white and grey kitchen we’ve had installed for 2 years now and so far haven’t managed to bring in any accent colours!! This would be perfect already got the daddy and mummy kitchenaid mixers this little bambino would make the family complete. I would make a cookie dough layer cake at the request of my son. I bake the birthday cakes for any family member as a gift, be they child or adult. Would love to make them with one of these! My #minimonent would be baking the cookies u am making for Christmas pressies this year. Ooo it’s dinky! I’d probably mix up a batch of chocolate brownies. They never fail to please in our house. my baking #minimoment would be pavlova and I’d give it a whirl making cinnamons rolls. My #minimoment would be to use this mixer to bake my stepson’s wedding cake. It will be a big cake! 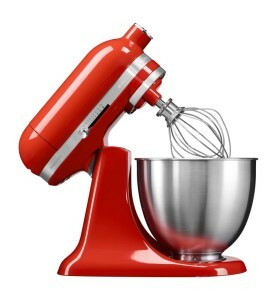 My daughter-in-law-to-be wants red roses and this mixer would match her colour scheme perfectly! Perhaps it can be the guest of honour??!!! My #minimoment of baking loveliness would be my Christmas cake, I’ve never made one before but I’m determined this year will be my year! A lovely hot sauce red kitchenaid mini stand mixer would make it even more exciting!! I would bake my fantastic mum a lemon meringue pie for my #minimoments The perfect tool for pastry and meringue. My daughter loves to bake with me but always wants to use mummy’s mixer, this way we could both have our own! I would bake up a gooey chocolate cake for my daughter and her student housemates – back together after spending a year doing lots of different things all over the world! I would also rustle up some gluten free delights for a new friend! My daughter adores baking and a kitchen aid has been top of her wish list for a while. She would definitely try her favourite Brownie recipe. My #minimomemt would be making your 🍫 chocolate 🍊 orange cake which everyone loves. Fab that you whizz the oranges whole and just put together in a stand mixer. Would be even better with a new mixer that didn’t smell as if it was about to burn out when I made it. I’d love to do my first baking since my baby daughter was born for my #minimoment and to take the opportunity to start teaching my 2 year old son the joys of baking without having to do everything by hand as we do currently! #minimoment definitely red velvet cupcakes as they are my daughters favourite. Plus how fab would the mix look in that mixer!!!! My #minimoment would be a batch of my family’s favourite cake: red velvet. It would be nice not to pick frosting off everything on my kitchen counter!! I’d have a #minimoment on Stir Up Sunday mixing up a batch of Christmas cakes with my mum – my favourite Christmas tradition and the best cakes and puddings I’ve ever tasted. They just don’t taste the same when we make them alone! Where to start?! Birthday cakes for the family, pizza dough for dinner and maybe some chocolate brownies. Too many #minimoment ideas! My #minimoment would be making vegan meringues. They are made with aquafaba (chickpea water – I kid you not!) and require a lot of whisking. I’m still at the experimental stage and my old electric hand whisk is just not up to the job. If I could perfect them I could consider myself a vegan baking goddess! My #minimoment would be a batch of cinnamon rolls – my son’s favourite and the kitchen smells great! I would use it to restart my mum’s Christmas tradition of baking fresh saffron buns on Christmas morning. We lost mum in 2010 and I feel it would be a nice way keep her memory alive. My mini moments would be my mini Xmas cakes that I make to put in hampers for family and friends. I made my boozy fruit yesterday and it is happily maturing in my cupboard…smells divine already. I would ask my seven year old goddaughter to come over and invent a new cake with me… She has already invented five really good recipes. My #minimoment would be baking my husband a Formula One style birthday cake for next month, also, starting the Christmas baking, which consists of dense fruit cake (booze), light fruit cake, Yule log, Christmas pudding, gingerbread house, mince pies and sausage rolls! Guess whose gonna be a busy bee over the next few months! My #minimoment of baking loveliness would have to be my lovely Mums absolute favourite Pink Turkish Delight Macaron with Dark Chocolate Ganache filling for her super special 70th birthday this December! for my #minimoment i would love to use the mixture to bake lots of lovely cakes with my son and for all his friends. I’m looking for a new mixer that does not (as Ruth says) “break my back” every time I need to use it. It would certainly be put to the test between now and Christmas as all our family birthdays and celebrations are around this time of year. I would bake our new family favourite, which surprisingly doesn’t include chocolate! Lemon drizzle cake, it’s firmly our 4 generation family favourite. All the more fluffy and light having been mixed in this mini kitchenaid, I’m sure! Oooh what a lovely colour, fabulous Ruth. I would mix up a creamy jam filled victoria sponge in it. Then I would sit down with a cup of tea and a nice slice. Thank you for the chance to enter. I don’t have a mixer and frequently come unstuck especially macaroons etc. Would also like to bake more for my colleagues at work, currently chocolate brownie is the favourite. My#minimoment would be to bake miniature rainbow cakes for my fellow hungry student housemates. We need sugary treats to get us through our final year at university. My #minimoment would be my Christmas cake, I have already started soaking the fruit as per pink whisk instructions! I’d love one of these to bake your delicious chocolate cake! I would kake a batch of brookies- a cross between a brownie and cookie….double chocolate…. Wow! I’ve never had a mixer that could handle icing sugar like that – I usually have to deep-clean the kitchen after making buttercream 😀 Now wouldn’t that be lovely! 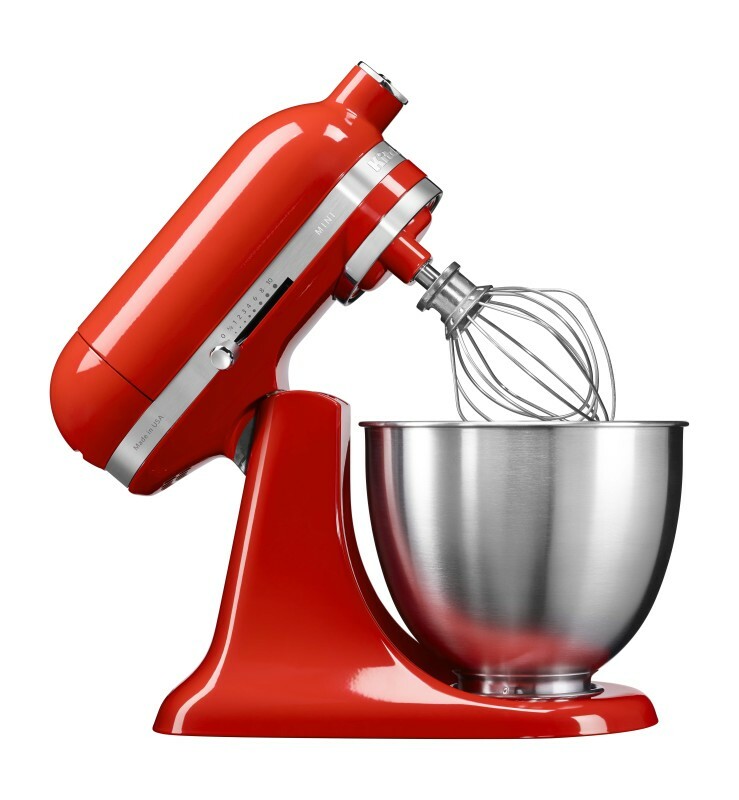 I have always longed for a Kitchenaid mixer and the colour is perfect for my red kitchen. I would be like a little kid and wouldn’t know what to mix up first but my hunch would be something quick to test it, like a massive Victoria sponge which everyone loves. A retro-look mixer deserves a retro recipe – how about a classic Fanny Craddock Gâteau l’ambassadeur as a #minimoment !? I still adore baking but as a recent widow and children left home I just can’t bake the larger quantities I used to. So anything from Bread to macarons would get a beating in this machine! My Dad is 97 and loves to bake; we often swap recipes and ideas. He also loves gadgets so I would really like to give him a gift of this, just for being able to cook and bake at his age, and we could have baking sessions together. If I was so lucky to win a #minimoment, it would be used to make lots of puddings, sticky toffee, lemon sponge, chocolate and not forgetting Christmas pudding. Great timing 😉 with winter coming. Love your review Ruth. My #minimoment would be making a dairy-free birthday cake for my twin sons’ first birthday later this year, catering for their dairy allergy. It’s no mean feat finding the time to whip up a batter with two almost one year olds (& a nearly three year old! ), so if I were lucky enough to win this it would save me precious minutes! Plus my daughter would love it as she loves to help me bake, and every moment we can get just the two of us is very special to her and me. My #Minimoment would be making my Mary Berry Christmas cake with my 12 year old daughter. From the fruit cake to the frosting on the top. It has been a Christmas tradition for us to do it together on a Saturday afternoon in October. My #minimoment of baking lovelyness would be a spiced carrot cake for my neighbour who will be 80 on 21st November. I haven’t had a mixer since my catering size Kenwood died many, many years ago. I am tempted to buy this. My #minimoment would be making bread again as this would do all the kneading for me. I have always wanted a KitchenAid mixer but my kitchen is too small and there is not enough space to leave it out on show. Now there is a mini KitchenAid I will be able to leave it out for all to see. I would definitely think of a way to use it every day. Mashed potatoes, whipped cream, lemon drizzle cake, Christmas pudding, Christmas cake, pastries, biscuits, the list is endless. My #minimoment would be mixing a tray of melting moments to enjoy with my family as part of our Sunday afternoon tea. My #minimoment of baking loveliness would be a bakewell tart made by my 12-year-old Rosie who would dearly love a Kitchen Aid mixer. I can’t believe they’ve made a smaller one to fit my tiny kitchen. Thanks Kitchen Aid! oh wow, I love the mini version, it would look so cute alongside its big brother. I would make marshmallow in it as I often find that the full size bowl is a little too big for smaller quantities. I think my #minimoment would be making bread. My husband usually does this by hand, but now he is building our house and doesn’t have so much time! Anything to help him and free up his time. I would whip up some light fluffy pancakes- served warm, having this would mean being able to make several batches all at once, instead of 1 batch at a time, which is all my trusty hand mixer can cope with….. I am teaching my two sons to bake. I would love to win, as we could try lots of different things. I would make EVERYTHING! Especially bread, I have never owned a gadget before and this looks like a space saver and sounds absolutely brilliant. I make bread by hand a lot and this sounds just the ticket for my dutch oven bread. What could be simpler! I would love to win this to make a traditional Christmas cake as well as lots of other goodies for the festive season. I’ve just had a new kitchen fitted and this would look great on my shiny new worktop. I’d make all sorts with it, especially my favourite Coffee and Walnut Cake. I’d have a #minimoment rustling up some mini Victoria cakes and a batch of delicious buttermilk scones. I have a visitor coming from the US and I am going to introduce her to the British Afternoon Tea with friends and family. Bread, cakes, pastry – this would be perfect and take all the hard work out of it. My #minimoment would be to make floating islands for my 25th wedding anniversary family meal. My #minimoment would be kneading some bread dough! I would make my little boys banana cake in it. Wrists can’t handle the strain anymore!! I would whip up my granny’s beautiful airy fatless sponge – it’s much less fun having to whisk it by hand so I haven’t made it for ages! Fat-free cake – the best sort of #minimoment! My #minimoment would be mixing my banana and choc chip muffins. I think I’m only going to have a #minimoment for baking on my busiest day of the year. My husband and son share a birthday, 18th October, so if I could whizz up two fantastic birthday cakes on the same day, this Kitchen Aid Mini might just save my life! We are so fortunate that our little girl has a summer birthday and we get to celebrate it with family at my Mum’s. She is only two but it is now a new tradition that we use the same sponge recipe for her birthday as she loves it and just change the decoration. We use one of your recipes! Tradition has already evolved. My Dad used the recipe to make my Mum a cake, my sister made my Dad one and my daughter and I are making my husband birthday cake. So if we had this kitchen Aid a lot of people would benefit from it for a very long time! Argh! Mis-typed my email address: should have been jane@makepeace.me.uk (I left one of the ‘e’s off!). Sorry. If I was the lucky one my #minimoment would be to bake a delicious chocolate cake now my little boy is growing out of his dairy and egg allergies at last. His favourite colour is red and he loves to help me bake! I have just returned from France where I didn’t bake much as I was on my own and if I made it I had to eat it! All of it! Now that I’m back in the UK I’m looking forward to baking for all my friends and their families. I much prefer baking to cooking and this would start off the refurnishing of my kitchen very nicely having left all of my appliances behind. I’d give this to my daughter to take to uni so she could whip up some #minimoment brownies! As for my #minimoment it would have to be cherry fairy cakes. They’re my all-time favourite thing to bake ever since I found the recipe in a school cook book like 17 years ago. They’re great to make for bake sales! I’ve wanted a kitchen aid forever but as I have limited space this is the perfect addition for my kitchen. Thanks for your great review. It would have to be a gooey chocolate cake for me! I would love to win this for a very good friend who’s daughter is starting to bake, she would be so proud to use this and bake with her little brother. I would love to make a 3 tiered chocolate cake using the mini kitchen aid mixer for my daughter’s birthday. I’ve never won anything! I hope to get lucky this time! Thank you pink whisk! My #minimoment would be some macarons – it will be my first time trying them. The mini Kitchen Aid is just too cute! My #minimoment would be making your fantastic carrot cake recipe as is huge favourite in our house and even my grandson has requested it for his 2nd birthdays cake. Also matches my red kitchen. Would be well used and loved by all the family who love to bake..
My #minimoment would be to make a batch of enriched dough for American cinnamon buns with cream cheese frosting for my nieces visiting from Florida in December. If I was luckily enough to win this. my first #minimoment would be for my daughters 16th birthday, she wants a pringles tube cake. I make bread at least 3 times a week, so would love to give dough a go, not to mention the fact i seem to be the family birthday cake maker, so this machine would definately be my sidekick! Oh, just in time for Christmas. I would like to make small food gifts for friends and neighbours who have been kind and helpful to me this year. My #minimoment would be an autumnal batch of pecan cupcakes, giving me a chance to use it for cake and icing! It would be perfect for our small kitchen as we’re in a one bed flat! Pavlova is my ‘signature bake’ – I’d love to have a go at one in this mixer! Cake, cake and more cake! Large cakes, small cakes and cupcakes! Would simply love one of these! A traditional Victoria Sponge – a family favourite. Hi Ruth, My #minimoment would be Christmas baking because I’m going to be off work in December and plan on enjoying baking mince pies, Christmas cake & gingerbread! My #minimoment would be to try out a new cake receipe using tinned chick pea juice instead of egg white ( i am reliably told this works) as a surprise for my vegan daughter. My other daughter would have a #minimoment making her favourite chocolate brownies. Lovely chewy meringues for Eton mess, lots of strawberries, raspberries and whipped cream!! This would help with making 2 fab cakes for my mum & dads 70th birthday cakes… born a week apart but having a joint party at the end of October. I mention the c- word 🙂 baking Plätzchen is a huge part of our Christmas tradition and a stand mixer would come in very useful for baking all the Christmas biscuits. Apart from the Christmas baking, making cakes and other baked goods is a weekly occurrence here and I would love to try a KitchenAid with some sourdough to bake my own sourdough bread. I would bake a cake for my lovely friend Susanna who bakes for everyone else. #minimoment – tastic! My first #minimoment – not to have to make my banana loaf by hand. Will probably need a splashguard as I am not the cleanest cook. For my #minimoment I’d bake two pretty layered birthday cakes for my beautiful twin girls, who will be 5 very soon! Thank you! Working in a hospital, I often bake cakes to take in for my colleagues. I have a bad back and do find the original Kitchen Aid far too heavy to use. My #minimoment would be to bake a three-tier Victoria Sponge with buttercream – was so impressed to see that no splashguard was needed. Normally, not only do I need a splashguard but also a clean towel to cover the gaps in the splashguard and still manage to end up with a “snowy” kitchen. I would love this to whisk up frangipani for my bake well tarts and making naan breads for the family. I’d love to have one of these machines just in time to help make light work of my Christmas Cake baking with the Boozy Fruit Soak – yum! I would use the Kitchen Aid to make up a delicious batch of Dulce de Leche brownies following your recipe. I have made several batches now and they are the best brownies I have ever made. I’m pretty sure they would be even better if I could whisk the eggs and sugar in a kitchen aid! My #minimoment would be to mix the ingredients for my beautiful sons first birthday cake. It would be so much better than my £12 hand mixer that I have used for all my families birthday cakes over the past 4 years! My daughters and I would use this marvellous #minimoment to mark many more family celebrations creating bakes & memories both mini and massive in my tiny galley kitchen. I think a Lemon drizzle cake might be called for if I won this mini Kitchen aid, but I would definitely want to try making buttercream in it too, so probably have to make some cup cakes soon after. I’m sure my family will give me loads of other suggestions after that! I would make my children’s chocolate cakes in this for their birthdays in the next few weeks, which are to be covered in delicious sweets, kit kats and oreos! It would be great and exciting to win the mixer. My #minimoment would be baking a lovely lemon drizzle cake for my amazing wonderful mum who is caring for me now too, I would be able to actually ask someone else to help me to do it too because it’s a smaller size!!!! So wish I had even a bit of luck, I would love to finally win something as 37 years and not won a thing!!!! My #minimoment would be making bread dough to make different bread rolls something I find difficult to do by hand! My #minimoment would be to make a delicious cappucino cake which is one of my family’s favourites. Since having to move to a smaller house, my pocket-sized kitchen has lead to me losing some of my baking mojo 🙁 This mini Kitchen Aid would definitely help me start creating new #minimoments in my new life & bring icing sugar smiles back to my cake-loving daughter! I will be making #minimoment cakes for Christmas gifts for all my work mates, friends and family. my #minimoment would involve baking lots of my favourite red velvet cupcakes (using your recipe – my go to recipe!. I am making a batch at the moment for a mcmillian coffee morning i am arranging at work. But this would make it easier and very impressed that the icing sugar doesn’t go everywhere!! I would make a batch of freeze dried raspberry meringues sandwiched together with whipped cream – yum! Would love this! I’d have to make some marshmallow. My fave thing to make but it’s a lot of hassle with a hand mixer. My #minimoment would be baking with beautiful girls, they love cooking up concoctions in the kitchen! It would be really helpful with all the baking I have to do in preparation for christmas for the family such as mince pies, chocolate logs and pastries. I’d make your chocolate muffins which are the best. Not too chocolately and works every time. Fantastic recipe! This machine would be very helpful in making then! #minimoment I’d love to mix up an epic cake batter full of peppermint flavouring for winter cupcakes! Maybe I could even add chocolate chips and make them ‘After Eight’ themed! My #minimoment would be making my brothers wedding cake next year with my dream mixer I have always baked and always dreamed of having a kitchenaid. This would make my life!! I’m determined to get back to making my Christmas Cake this year, a mini KitchenAid would really help with that! Ooo, where would I start…. mini mountains of baking – cakes, pastry, bread, tiny treats and great big celebration cakes. Fingers crossed I’m the lucky one! I think I’d try bread first. I always fail at bread and actually Blame my tools so I would love to see if it is the case. Looks a fabulous machine. Always love reading your recipes and blogs. My two little boys (6 and 5) love baking but the 5 year old loves the icing of everything best. This machine would be a fab prize to win and love the idea of not having clouds of icing sugar all over the kitchen. This happens all the time in our house :-). My son and his fiancée have just moved into the tiniest rented house and they’d just love me forever if they could win this! My son is an avid cook and his fiancée has just been diagnosed with wheat intolerance so bring able to bake wheat free goodies would be his #minimoment! I would love a Kitchen Aid of any size. I have a Kenwood Chef which I bought reconditioned some years ago. The first stand mixer I have ever owned, and it has done well but as a 1970s model I find the motor is not quite powerful enough. I would bake all sorts, and my favourite recipe of the moment is Waitrose Blackberry Doughnut Muffins! Looks amazing! I would love one! This lovely compact version of the icon brand would fit perfectly in my kitchen! If I were lucky enough to win my #minimoment would be a batch of mini classics – victoria sponge cakes, coffee & walnut cakes, battenburgs and bakewells to serve as ‘high tea’ to my lovely girlfriends. I would love to do a proper red velvet cake and macaroons #minimoments! My #minimoment would be mixing up a big batch of marshmallows for christmas presents. It would make it so much more fun and easy with the mixer. #minimoment definitely a saffron loaf mmmmmmm!!! I love your review and the kitchen aid mini looks amazing! My first #minimoment would be whipping up a birthday cake for my soon to be 6 year old daughter! I would have lots of #minimoments , i would mix up anything and everything and I would make it feel very welcome in my kitchen! My #minimoment would be a batch of my gluten and dairy free chocolate brownies. As they wouldn’t last five minutes in my house, I’d make the most of my Kitchen Aid and whip up another batch pronto!! Wow! Great review for a lovely little piece of kitchen kit! For my #minimoment I’d get cracking on some tiny little mince pies, as I tend to start filling the freezer around this time of year! For my #minimoment bake I’d have to whip up many trays of mini meringues.Eight egg whites would make PLENTY. Filled with beaten cream, also using the mini mixer. I’d make them pink and hold a fundraiser coffee morning for breast cancer research in October. would love to win this for my mum as a thank you. She shared her love of baking and passed all her knowledge and skills on to her little mini me. I love the look of KitchenAid mixers, and this mini version would fit into my kitchen more easily than the full size one. My #minimoment would be making lemon drizzle cupcakes. I’d start with an old favourite of mine, cheese and chive muffins. Moreish and usually gone in hours! This would be wonderful. I have been thinking about buying one but it is large but it would be an investment, so it’s exciting they have released a mini version. It would be very handy making cakes as I have a special friends 40th birthday cake to make and it will require a lot of buttercream. I use your giant cupcake lemon cake recipe all the time and it never fails to impress! My #minimoment would probably rustling up a good old fahioned Victoria Sponge, as it’s my husband’s favourite! We have started a new business to which we have started making our own buns and cakes to sell. We have been buying them in from the bakery but customers love home made so we are learning new recipes all the time, and everytime one sells I feel proud that I’ve made that and they have chosen to buy it. The recipe I am trying to master at the moment is Bakewell tart. I have also found a love for bread making which I never knew I had. Just what I need now I am gluten intolerant, so I can mix up all those things I miss I wouldn’t have to pay the high prices in the shops & a yummy colour to boot. My #minimoment would be to make my son’s 1st birthday cake and then to teach him and start our baking adventure together. Would love to take a #minimoment to bake a lovely celebration cake to welcome our new baby to the world! Firstly I love this colour, I would make a batch of your wonderful chocolate muffins- the bestest recipie I’ve ever come across. I would make them for my vintage wedding celebration on Saturday! My #minimoment would be to make the dough for my favourite home made bread, nothing more satisfying than taking some simple ingredients like flour, milk and yeast, let the mixer get to work, and watch it transform into soft, pillowy, lovely dough. My #minimoment would be a good, old fashioned Victoria Sponge with a big squidge of homemade jam and lashings of real whipped cream. I might not be able to send you a slice, but I can promise you a photo! My #minimoment of baking would have to be a good chocolate cake batter to make into cake pops ready for my nieces school fair! I’d whip up a load of cakes to serve at a McMillian coffee morning! My #minimoment would be meringue kisses! My #minimoment would be to make two beautiful christening cakes for my two newest grandchilden. I would rustle up a batch of pizza dough. I have a few tomatoes still to ripen in the greenhouse for the sauce, some homegrown onions, a pot of basil on the window sill. Throw on a bit of cheese and maybe some chorizo, et voila! My #minimoment would be baking cakes with my three year old daughter, she already loves making treats for her daddy. As a new mum I need endless #minimoments to keep my energy up, starting with chocolate orange cheesecake! Love the review! And the vibrant colours. Were I to win, my minimoment would be to attempt a gluten-free, egg- free, dairy-free cake for my girl.. as with her health issues, and my not having such a mixer, it has always proved challenging to bake a cake for her! I would definitely use it for making pastry, my hands are way too hot for rubbing butter into flour without everything melting. This mini-version would really suit my 1 person household and I fully trust your verdict that it’s amazing! I’m baking my cake for my wedding on 10th November so my #minimoment would definitely be making that! My #minimoment would making either a lemon drizzle or a meringue to be filled with lots of cream and fruit! My pooch Bertie will be at my feet waiting to see if anything “escapes” for him to lick ……… he will have a long wait! My #minimoment would have to be a Chocolate cake with dairy milk buttercream. My favourite! I would love to make some Belgian buns and mini bakewell sponges and then lots of Christmas treats with my little ones for my #minimoment! Would fit nicely in my little kitchen! I have been obsessed with getting a kitchen aid ever since I started watching the great British bake off which really inspires me to bake as much as I can! My first #minimoment would be to make thick fudge double chocolate cookies! My #minimoment would be experimenting with my traditional recipes to make them lower calorie recipes to aid my weight loss. I love nothing more than cake and icing, but I’ve started on a healthier lifestyle that still allows me to indulge in the healthier treat! I’m crossing my fingers!!! Always wanted a KitchenAid!!! Wow! If only I could win, never would I be able to afford a beauty like this. My #minimoment would me mixing me a beetroot and chocolate cake, the more chocolate the better, yummy, cupcakes of all descriptions and of course my firm favourite is of course a Victoria sponge, courgette and walnut and a lovely luscious moist carrot cake amongst many other yummyness I can dream up. My #minimoments would be a coffee & walnut cake treat for hubby and mini christmas cakes for the forthcoming season!Fruit is already soaking in copious amounts of brandy!!! I am currently teaching my niece to make Birthday cakes for her children, just as I and my mother before me made Birthday cakes for our children. We’re having great fun and it’s a good excuse to spend an afternoon together. 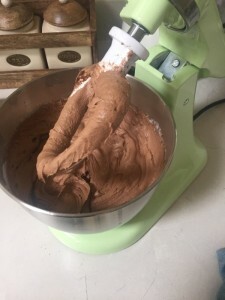 My favorite fail safe recipe is the Pink Whisk Chocolate Giant Cup Cake recipe – lovely and moist and always a big hit with adults and children alike. I would love to be able to give my niece a Kitchen Aid of her very own to carry on the family baking tradition. I would absolutely LOVE to win this wonderful looking piece of kit as 1- it would look gorgeous in my little kitchen, 2- Christmas is coming, and that means me starting to make my Christmas cakes! As a disabled lady, I struggle mixing up all the ingredients required to make my scrum my Christmas cakes – I make 1 for my sister, 1 gluten free one for my daughter and 1 for myself! The booze fruit recipe that I acquired from this site is absolutely spectacular & along with the Christmas cake recipe, it produces a gorgeous, moist, fruity cake of which I am extremely proud to give my sister and daughter! This mixer would make the preparation and making of my Christmas cakes and all the other cakes I bake, an absolute doddle, and I wouldn’t be left nursing a bad arm and shoulder for weeks afterwards & I could make them all up, ready for giving their little drinks-poos, over the space of a matter of a week, iinstead of it taking me weeks to bake them all because my arms & shoulders need to recover!! I would make pastry! I hate making pastry because I don’t like it getting stuck to fingers & nails so I always cop out & buy ready made. I never knew you could make pastry in a stand mixer so would definitely love to try it & have homemade pastry for my pies & tarts instead of ready made. My #minimoment would be making the special yum-yum cake for the family Christmas dinner. I also make bread. This would be a big help for me, I love it. like the smaller design for my smaller kitchen, i would for my #minimoment make a lemon drizzle cake for when my older returns home for the end of october – its his favourite. My family are big fans of coffee fudge cake, my five year old included, so winning the mixer would mean a very happy family. I am getting married next year and doing high tea so I would love to win the mixer to bake my own cakes for the dessert element. Oh I would love this my sister has the kitchenaid its fab but with less counter space the mini would be great for me I’m a stay at home Mum and love baking would make brownies, cookies and my kids birthday cakes with this excited thinking of the chance to win!! My #minimoment would definitely be weird and wonderful cup cakes as that’s what I make for everyone! Ooo it looks lush and I’ve always wanted one! 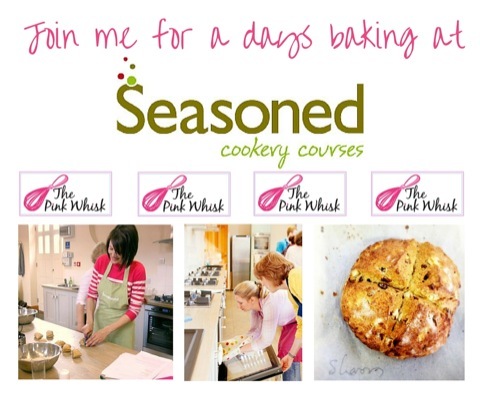 The pink whisk always have great recipes, fantastic blog too! I love to bake, and usually make something off your website! Would love a mini kitchen aid! Great review! I’d make baileys chocolate cupcakes in my #minimoment as mixing the buttercream with a hand electric mixer means I’m there for ages when I could be pouring myself a glass of baileys! I’d whip up my famous Guinness cake for all the work charity bake sales. What a great review! I would love to win a Mini and my #minimoment would be mixing my grandson’s first birthday cake in November. The cake will have ombre buttercream on the sides and probably a panda on the top so the Mini would be put to a lot of work! Love your blogs, so informative and full of good tips. My #minimoment would be creating my first bake in our new home! What better way to christen the kitchen?! My daughter’s favourite…chocolate fudge cake! I often have a cloud of icing sugar in the kitchen when I make buttercream so would love to have a Kitchen Aid Mini to help me avoid this and make light, fluffy cakes every time! My #minimoment would be making my little boy’s first birthday cake (hopefully a zebra!) and then using it to start my own bakery business from home. #minimoment. Bread. Much easier it ha good mixer. I make small pittas and freeze most of them. Would love one for #minimoment to make mini-cupcakes for a friend in need! With a KitchenAid Mini I would make my Christmas cake and all the other tempting goodies needed for a great family Christmas as well as some lovely bread. My #minimoment would be making my very first ever Christmas cake with it. My #minimoment would have to be almond choc chip layer cake – perfect! I would love to make a meringue roulade! Really Love the size .. Like to teach baking easy recipes for my 12 years old niece, she’s interesting in making cookies, cupcakes .. etc . This is just what I have been waiting for and I have a space just perfect for it in my kitchen. I tend to lately make smaller batches of cakes and biscuits so this would be ideal. Also would be great for my mini bakewell tarts that I always make each week, as I am sure it would make lovely pastry. This would be the icing on the cake for me. i have 3 eager bakers aged between 5 and 9 and all wanting to, make their own shows stopper. all 3 are entered into a local Junior bake off in November and it would be great to not have to wait turns on my food mixer. there would be lots of mini makes baked, theres being a gingerbread, decorated cupcakes and banana bread. plus loads more. I’ve no room for the full size version so this mini kitchen aid looks perfect. My #minimoment would be to try and finally perfect making bread to go with all the homemade jam and marmalade my family eat! My #minimoment would be some lemon drizzle cake which is my husband’s favourite but I haven’t baked for ages, poor thing. It also might give me the courage to try things I have never made before. Ooh always wanted one of these to help me multitask. My #minimoment would be finally trying to make macarons- yummy! I’ve got my fruit soaking for my Christmas cake, then I need to make the Christmas pudding that is if my husband hasn’t already commandeered it for his bread making. With the holidays almost upon us, I would make my mother’s traditional applesauce cake, then make the icing as well. Moving recently from 2000 sq foot home to a 625 sq foot apartment this would fit just right. My #minimoment would be to finally get a chance to bake all the recipes I have been saving from the Pink Whisk blog. I think it would have to be my all time favourites – meringue! How easy would that be! Also, it’s my birthday on October 10th, how good would that be!! Bread! I have got quite lazy and stopped bread making and I miss it. I have a really small kitchen so this would be great! I would make my trusty dark chocolate mud cake with white chocolate frosting but In would also use it to enhance my bread making skills. I would bake cinnamon rolls for my #minimoment to make my kitchen smell amazing! My first #minimoment would be lemon drizzle cake. I would be so grateful to win this and bake chocolate cakes,naughty chocolate cookies,my grands recipe for Christmas cake to make my friends and family happy. My #minimoment would have to be minimeringues made in my minikitchen. And Xmas would be easier on my frozen shoulder! My #minimoment would be to try & make meraingue. I’ve never had much success but I’m sure with a mini kitchen aid, my meringues would be the peak of perfection! The smaller size would be a welcome addition to my kitchen and I could bake a lot more goodies for my family. I have managed to reach the age of 60 without ever having possessed a stand mixer and think I have missed something! I would absolutely love to win the latest KitchenAid mixer and try recipes that just sounded like too much hard work using a hand one! My #minimoment would merge into many. As I bake almost everyday I need to keep my gluten free recipes separate from standard. Having this would make my life so much easier. My first bake would be Lemon and Poppy Seed Yoghurt Cake, no, it would be a fruit bread, no, sorry just seen the mountain of greenhouse tomatoes I need to make into passata so a brioche style pizza dough… oh whatever I choose it will be scrumptious. #minimoment. I have been hoping that Kitchenaid would eventually bring out a ‘Mini me’ version…and here it is! Ruth, your comment on “not throwing your back out” won me over as i’ve got a seriously bad back!! I would love to whip up some Macarons. My 6 year old has developed a taste for them since she was 4 yrs old!! My#minimoment would actually be putting it on the work surface in my small kitchen! Would be fabulous to make my grandkids favourite chocolate cake with this instead of a wooden spoon! Never had a mixer before because my kitchen is just too small! I’ve always regretted not putting a KitchenAid on my wedding list and have dreamed of having one for years. Fingers crossed! I would love to win this and my first #minimoment would be to make my little boys 3rd birthday cake. It’d be used to bake my own wedding cake for the spring! Looks and sounds perfect Ruth. Would be great to make your raspberry ripple sponge, your chocolate brownies, your red velvet Swiss roll …….. These new Kitchenaid mixers are really cute. Just right for mini muffins, maybe banana & Ginger…. My daughter would love this Kitchen Aid for her kitchen. She’s eight months pregnant but still finds time to bake with her 3 year old. This would be such a treat for after the new baby is born and grand daughter would love to help her mum use it. She has used my full size Kitchen Aid but it’s too large for her kitchen so this would be perfect. Oh my gosh, how didn’t I know this existed before now! I am patiently waiting for the day I can afford to bless my kitchen with a kitchenaid stand mixer! Great review and glad to know it didn’t disappoint in any of its functionality. If I were to have this in my kitchen I think I would make a brioche loaf. I would love one of these and my #minimoment to make in superfast time would be orange madeleines which taste so good. I’m always baking but my Son has just booked his wedding for next year so would love to make his wedding cake. I made my own wedding cake 29 years ago so happy to give it a go again. What a fantastic prize. I’m torn with what I would bake first if I won it but have decided my #minimoment would be your chocolate chip and fudge cake – a firm favourite in our house and frequently used as a birthday cake. My #minimoment will always be cupcakes! Exciting! #minimoment of baking loveliness – chocolate and peanut butter sponge cake, shortbread, eclairs, meringues the list is endless. Would like to have a try at bread using the dough hook. Oh wow, what a fab colour. I’m pretty new to baking but i really want to learn more. I’d love to learnt to make cupcakes first i think. Fab review! I would love to use it to make mini Christmas cakes for gifts this year. My children love to bake with me so this would be perfect for them. My daughter is just starting to bake on her own so she could have another go at Bananas loaf. Last time it looked beautiful but perhaps she could remember to put the sugar in this time 🙂 We put honey on and all was well. My 3 year old son has just outgrown his milk allergy so I would make him the best chocolate cake, smothered with buttercream icing and chocolate buttons to celebrate. It is my daughters 1st birthday this Halloween, I’ve ordered the cake mould but will have to either use my handheld electric whisk or borrow my neighbours Kitchenaid, which will mean carrying a full size one across the close! My #minimoment will be making the pink whisk salted caramel bundt cake – never fails to impress! With the GBBO coming in towards the quarter finals and my youtube feed filled with baking inspiration, my #minimoment would be to whisk up a beautiful afternoon tea. So with my little crew (consisting of an 8 year old, a 6 year old and a three year old!) I’ll bake a few scones, mini carrot cakes and mini coffee cakes, viennese biscuits with buttercream and a showstopper classic victoria. Diet before Christmas? Hmmmm…i think i’ll just buy a dress size bigger. I would whip up a tasty cake for a child in need. I am a voluntary baker with Free Cakes for Kids Cambridge. If I am lucky enough to win, I will be whipping up some cream ready for my homemade chocolate eclairs….they are my Dads favourite 🙂 #myminimoment of baking. My #minimoment would be using the gorgeous kitchen aid to make a tuna flan with my daughter using my late mum’s recipe, a firm family favourite! My #minimoment would be making a batch of my boys favourite chocolate brownies, and not have to wrap a tea towel around the bowl because my nanna’s 60 year old kitchen aid is on its last legs and sprays flour and eggs everywhere.I’d feel so glam without a tea towel. Plus red will make my newly painted kitchen. #minimoment Whisking up a huge pavlova with no artexing of the kitchen in the process! 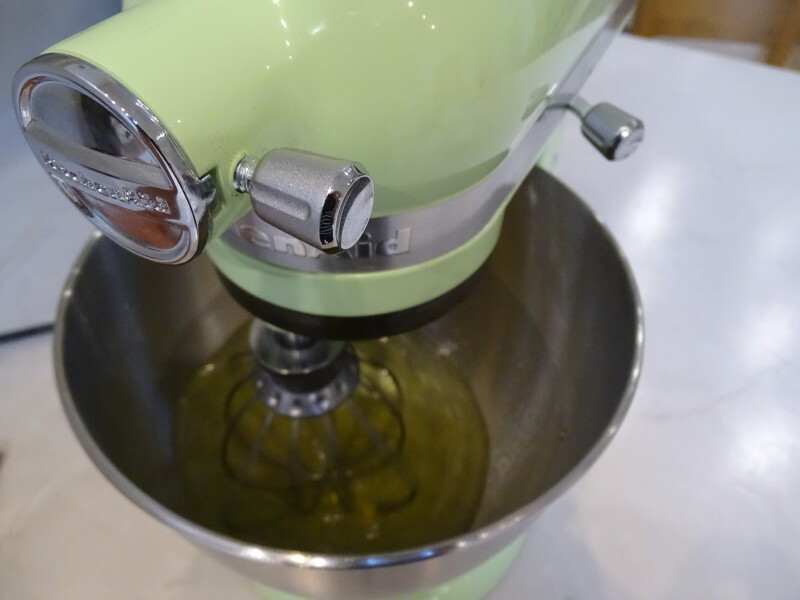 I would use the mixer to bake all my festive goodies (a lot of them recipes of yours’ that I love!) Christmas cake, gingerbread for my annual gingerbread house, festive shaped biscuits (and some to give to teachers! ), mince pies…best baking time of the year!! I would love to win this! My #minimoment would definitely be baking some cakes with my 8 year old daughter. She loves cooking and is keen to learn more. I’d love to make Macaroons, and meringues, and cakes, lots of cakes. Oh yes Please, would love one of these beauties . Would make my baking life so much easier! I would make a raspberry pavolva with lots of whipped cream. Ooh I have always wanted one of these! My favourite bakes are breads, treats and celebration cakes for my family. My 4yo and 2yo daughters are my baking apprentices, I would show them how to make my Granny Neill’s Lemon Fridge cake – her speciality and my favourite dessert ever. Think lemon tiramisu! Heavenly. My #minimoment would definitely be to get back in my baking groove with a chocolate fudge cake! Since starting a job cooking this year I have found I do it less for fun and I miss it! My #minimoment is licking the bowl. If it is a small or big bake, I’ll always finish up the mixture! This will be great in my compact London kitchen! My children loves baking with me and this will fit perfectly! There are so may bake off inspired recipes I want to try. The one I most look forward to will be making bread so I don’t have to knead by hand! Oh wow! Love kitchen aid! I’m busy making lots of hampers for friends for Christmas – this would help me make many mini moments. Meringue kisses, shortbread hearts. Mini chocolate chip bites – the list would be endless! I keep chickens so always have fresh eggs. I would use mine to make my favorite Pavlova filled with fresh fruit. Bet it whisks those egg whites up to a fluffy cloud ! I would love this. It’s always been on my wish list. Would go lovely with my new range cooker. That’s easy! My #minimoment would be classic French macarons a la the pink whisk! They were the first thing I ever made from this blog, food processing the icing sugar was the key to not continuing down the path of failed ones! This would certainly help me get those egg whites whipped to perfection! Well, Christmas is coming, so my first #minimoment would have to be the cake, but then there’s gingerbread, truffles, mince pies….. so much baking, so little time! I have a 1960 Kenwood chef that belonged to my grandma. I love it, but you have to mix buttercream a little with a wooden spoon before switching it on, or my kitchen and I get splattered with icing sugar! Or possibly try making marshmallow again. I tried that last Christmas….broke the belt on the Kenwood. According to the repair shop it was obsolete…hurray for the internet instructions and kind electrician friends! I’ve never been brave enough to attempt pavlova, but I think I would with this. The first #minimoment I would make would be a big chocolate celebration cake for my friend’s birthday with plenty of cream cheese icing. This wonderful machine would help me make #minimoments bread and cakes with ease. Having recently been diagnosed with arthritis in my hands and elbows my love of baking is sadly being affected. Will keep my (or my husbands) fingers crossed! I would love to make a scrummy lemon drizzle cake! #minimoments would be made all year round baking with my boys. This awesome little machine would want to have a mini break, from all the baking tasks. Gingerbread at Christmas Easter Cakes at Easter and many many birthday cakes and cakes for just the fun of eating cake…. I would love to try macarons and meringue kisses as my #minimoment…love the kitchenaid 💗 Great review! Me and my three year old daughter would have a #minimoment together as we love baking, especially gingerbread and cupcakes! My son is 10years old and a keen footballer. I would spend my afternoon baking delicious salted caramel cupcakes for all the parents who are stood on the side line, in the wind and rain watching their little boys working their socks off! May even bake a second batch for the boys! What a fab little machine, and no clouds of icing sugar to choke on! I think my #minimoment would be getting a start on my Christmas baking, looks like it could handle the Christmas cake mix a treat, and the almond paste, and the icing….and such a Festive colour too! I would love to make some melting moments with my mini if I win it! With the leaves starting to turn and the abundance of conkers my children keep bringing home I’d bake an autumnul mini moment. Pumpkin Spice Cake, soft pumpkin spiced cake, with fluffy coffee buttercream and a white chocolate ganache to top it off! My mini moment if I won would be finally trying to conquer making gluten free bread – I’ve cracked cakes and biscuits but not bread. This would be fab to mix up a quick cake especially with a newborn work top space and time is limited!!! I’d make my sons freefrom dairy V22 Osprey helicopter birthday cake! It would be nice to not burn out another hand mixer in the middle of a birthday project! I have 3 young daughters who love to help me in the kitchen. They would love this! Baking memories is what we would use it for. It’s my husband’s 40th this month and I’d love to make him his favourite marble cake to celebrate. My daughter is also desperate to make a gingerbread house this Christmas, so this prize would be fantastic. I would make my favourite recipes, chocolate meringue, cherry kirsch cake and rosemary bread. A #minimoment soon. Fingers crossed. This would be perfect for our family gingerbread house we bake and decorate together each year. Plus all the bread, cakes, cookies and other yummies we love to create. Would love this, mine is so old and my daughter is always asking for baked goods for school! My #minimoment would be some melting moments! Melt in the mouth gorgeousness whipped up in moments…. Lovely and compact to suit my small kitchen, I would love to use the machine to extend my baking range, including bread. After getting out of an abusive relationship Im renovating my house on a budget of zero and have almost finished my first room; the kitchen, even teaching myself how to tile it with youtube. This mixer would be the crowning glory as I love to bake and it especially when Ive had a tough day. My #minimoment would involve me just being able to bake with my children in a lovely finished kitchen that Im no longer ashamed of. Ooh would definitely use a #minimoment to make my Christmas cake. Come to think of it, I’d better get my fruit soaking in some gorgeous rum! 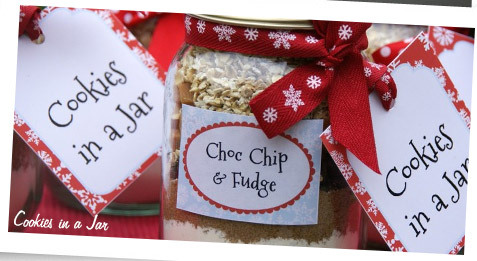 I’d definitely be whisking up some Christmas treats to leave santa and his reindeers! Red and white mini meringue kisses are my favourite #minimoment! It would match my new kitchen perfectly. I would be use it to make lots of mini Halloween treats, it will prevent me having #minimoment when icing sugar flies out of the bowl when I use a hand whisk!! I would use this to mix up some lovely Christmas cakes for me and my boys and I would use it every year for their birthday cakes. I swear if I have to cream together another batch of caster sugar and butter my arm might just fall off! This year I had to mix 1kg of butter and sugar by hand, I even roped my 65 year old mother in to help me! What a thing of beauty it is! I think my #minimoment would have to be a lovely sticky gingerbread, perfect with a cuppa during these darker nights! Well I’m coming to the end of baking my own little bun in the oven and would love to bake some lovely little macarons next! Much quicker than the nine months it’s taken to bake this little bundle of joy! I would love to bake cookies with my grandson when he visits from Australia. Hi Ruth, my daughter’s 11yrs old and has just decided she’d like to go to culinary school which is awesome so I’d love to win this for her so she can practice all her own #minimoment bakes. Thank you! Rich shortcrust pastry. Jam tarts and mince pies. The pastry melts in your mouth. I would love to make chocolate brownies for my work colleagues who have a difficult job and chocolate brownies always make us feel better! My mini moment would be anything with chocolate, current favourite thing is brownies. Thanks for the giveaway! Just saw this post now, it came up on my fb timeline. I have started baking and there’s no way I can afford the mini or even the standard size mixer! Would love to win and recreate the rainbow cake I tried to make, for my sons birthday as he loved my first (shaky) attempt. Seeing his face cutting through it and enjoying it will be my #minimoment. My #minmoment would be my twins birthday cakes one each of course pirate cake for one and odd bids cake for the other. I would bake a #minimoment with my #minime 8yr old son, who loves to bake banana cake with me – hidden fruit is always a winner! Loving making Indian inspired scones for a charity coffee morning.. A chance to come together for a good cause and share my love for diverse cultural baking influences .. A vibrant coloured mixer would reflect my love of all things wonderfully different .. Fun comes in small packages!! Hello! My son loves cookies, especially chocolate ones so that is what I would be making! Fab review, my kitchen always ends up full of icing sugar! would love to have a #minimoment with my daughters and make all their favourite cupcakes! My #minime and I would love to spend #minimoments making #minicakes #minitarts #minimuffins and the full size versions too, she and I are baking crazy! Winning this would be absolutely incredible! I ❤ to bake & decorate and my eldest son, 11 years, loves it too. We would share this if we won! 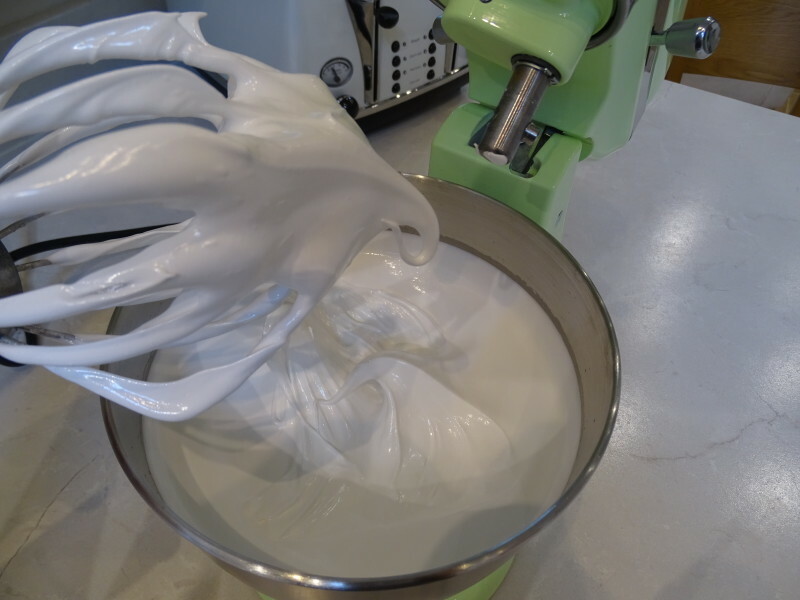 Meringues … I need to master .. Mini kitchen aid I need your help! I’d love something to help me with the baking I do to help raise money for my son’s football club, not sure my hand mixer will last much longer with all the strain I’ve been putting on it recently. Not so much a #minimoment but more like a massive moment every Friday…..
My #minimoment is when my step-son asked me to help him bake a birthday cake for his mum! My #minimoment would be to make a lemon drizzle cake for my boys 2nd birthday in November! It would be lovely to use it to bake things with him too and increase his love for cakes! Ooh this would look amazing in my new kitchen! #minimoment would be delicious Victoria sponges mmmm! I would love the (lack of weight of) the mini! I bake lots with my little boy- but struggle with heavy lifting due to my wrist/ hand arthritis. Even hand mixers are quite literally a pain. Having a lightweight stand mixer for mid week spontaneous bakes would be a god send. My #minimoment would be mixing up a super scrummy and slightly scary Halloween birthday cake for my little boy – his birthday is 31 October! I’d make Swiss merangue in mine as I’ve never made it before and fancy a new challenge! I’ve got my Granny’s old Kenwood chef but that does the icing sugar cloud thing so I don’t use it very often. After a long 5 years we were blessed with the arrival of a little girl in January. I’m really looking forward to baking with her and setting up traditions of baking lots of lovely things. I’m particularly looking forward to baking her first birthday cake this year and maybe a mini #minimoment cake for her to smush! My husband makes the most amazing Pistachio macaroons but our last mixer broke before we moved house on the Spring and it hasn’t been replaced. It would make his day to win this and get cracking with those macaroons again. I miss them! Ive just been on a bread making course and would love to try out my new skills in this. Chocolate Swiss roll with whipped cream for us! I love all things mini (studied model-making!) so this would be a lovely prize to win if I’m so lucky 🙂 I’d bake up some mini butterfly cakes to start and then some macaroons! I would love to use this to make fluffy meringue butter cream for my wedding cake next spring. My children and i would do all our christmas baking, we are going to make a christmas cake and gingerbread hous. Wooo red velvet cake, cookies and cream cake. Just to name 2. Plus all the fillings and frostings. My Bosch mixer is good but seeing as I’m baking a lot more for my church family for their special occasions a bigger o e would be awesome,. My #minimoment would be banking my first cake in my new home. My #minimoment would be to gift it to my best friend who has attended baking classes with me as I am disabled,and we both love this new hobby. She is also very jealous as I own the big brother of this mixer which has pride of place in my kitchen. I’d have my scrumptious wee granddaughter for a sleepover and we would bake beautiful cakes. Best bit would be no beating sugar and butter together with a wooden spoon! Bliss! I put together a christmas hamper every year for my gran and grandad, so the mixer would be great for making some great homemade cakes and breads to put in their hamper. Would make it extra special! I’d get my Christmas cakes all made in a flash, we have to make a few or hide them otherwise they never make it to Christmas 🎄!! The #minimoment id bake would be my grandads favourite Victoria sponge, a classic that always makes me think of him and how he loved his sweets. I would like to make a massive chocolate cake like the one in the film Matilda all gooey and sticky and tasting just yummy lol ! My daughter and I make the recipes from The bake off. My daughter loves cooking and we are so rubbish at it. We made the jaffa cake recipe but our chocolate just slid off. My daughter is blind but she still has so much energy and enthusiasm for cooking. Oh my gosh, winning one of these would be truly fabulous. Definitely would get a place of pride in my kitchen. My 3 foster children love a bit of baking after school (and they are usually joined by a friend or two). At the moment they’re whipping up treats from what they have been watching on Great British Bake Off, they are big fans of the bake off tent and the iced biscuits were a particular success. I’m always having to whizz up a cake mix at short notice for church events, it’s got to be quick as I’m very busy so cupcakes are always a winner or cinnamon buns never fail to please! This would be a lifesaver! I could use this mini to throw in equal amounts of peace, love and understanding to make the family a wonderful cake of happiness- good things come in small packages! This would be my ‘go to gadget’ in use most days in creating simple yet wholesome bakes. The hot sauce colour would certainly raise temperatures if in use in my kitchen- the excitement- would love to win this .Thanks for the opportunity. I’d be whipping up little batches if meringue kisses to top my cakes in this beauty. I’d love to try a baking mini moment to whip up some cakes for work, nothing gets you through the long nights on an ambulance better than home made cakes! Christmas cookies!I just started looking at my Christmas cook books again. Cinnamon stars, gingerbread, flap jack hearts and butter cookies (for cookie cutting with the kids) – so many doughs to make, so many #minimoment(s). Christmas cookies!Cinnamon stars, gingerbread, flap jack hearts and butter cookies (for cookie cutting with the kids) – so many doughs to make, so many #minimoment(s). Oops double posting. Can you please delete the last one? I’d love to whip up some lovely rainbow 🦄 Meringue kisses. Great review! Makes me want one even more! My #minimoment would be shared with my 6 year old who I know would love to help me whizz up something tasty (and probably chocolate) using this! #minimoment. What I wouldn’t bake in this 😉. I could start on all my Christmas baking or more importantly my son’s first birthday cake. My #minimoment would be practicing for a wedding cake. I’m getting married next year and want to bake the perfect cake for my wife to be for our big day! I bake all the time. It would be less time consuming with this mixer. My #minimoments would be baking with my grandson, he lovesmaking cakes and biscuits too. We would love this gorgeous mixer to make lamingtons, they’re his favourite. My first #minimoment would have to be mixing up this years Christmas cakes…one for us and three more for family members. The jewelled fruits are boozily soaking away and the smell is just divine. Love you recipes Ruth…keep up the good work! I would love to win this to gift to my daughter at her upcoming wedding shower! She LOVES to bake and this would thrill her no end. Thanks so much for offering this lovely gift! What a gorgeous colour! My mini-me son and I would love to create a #minimoment bake of a simple vanilla and chocolate marble cake with buttercream icing, his favourite! My #minimoment would be baking a birthday cake for my mother and grandmother celebrating their 60th and 80th birthday on the same day. I would love to win the mini one, so my large one could go and get serviced, it is sounding sick. I’m sure the motor in the machines are now allot quieter than mine that was bought 14 years ago. Would love to win, I only have a hand whisk!! My #minimoment would definitely be making buttercream without covering the work surface in icing sugar! My #minimoment would be cupcakes for my friend’s daughter – she is currently giving birth to a baby she thought she would never be able to have, because she has a chronic heart condition. But she’s proved them all wrong! My #minimoment would be to make a mountain of bread. My last mixer broke and I haven’t made any since. My hubby is the cake maker in our family so would love to win this for him and I am sure his first bake would be a Victoria Sandwich filled with our homemade jam. I would make my daughters first birthday cake for my #minimoment with my 2 and a half year old eldest daughter who is fast becoming a mini baker herself! My #minimoment would be mini macaron as I’m just trying to perfect them for Christmas gifts! My #minimoment would be The Pink Whisk vanilla fudge, as this makes the perfect gift to give away to friends and family. Delicious! I would make cakes ,cakes and loads more cakes I give them to family, friends work colleagues anybody who wants cake. I love making cakes and with the mini mixer it would be a doddle! My #minimoment would be really well used when we have a bake off with three friends on a recipe we’ve all wanted to try. Next in the diary are marshmallows – this mixer would be perfect please! I do a cake Friday for charity at work. So this would help me make more goodies and raise more for good causes. #minimoment makes more. My #minimoment would be making chocolate brownies for my husband! My #minimoment of baking loveliness would be a stollen. I tried to make one last Christmas but it didn’t come out well so maybe with one of these it would! In my #minimoment I would make a very special little girl her 2nd birthday cake! Something we never thought we would be doing! My #mini moment would use the mixer to make pastry for mini fruit tars and then to whisk the cream to go on top. Love a multi purpose tool – especially one that look so good. Would love one of these for my blossoming small cake business. The perfect size for rustling up meringues and small batches of cupcakes. My #minimoment would be my first attempt at my Aunty Beryl’s lemon pavlova – light as a feather. But I’d use the Pink Whisk tried and tested (many times) lemon curd recipe. My mini kitchen is too small for a full size kitchen aid mixer but this would be perfect! My #minimoment would be making cupcakes with my little boy and decorating them – loving the video of the buttercream icing mix! I would share this beautiful kitchen aid with my reception class with whom I love to bake!! I’m a teaching assistant who wants to give children a love of baking, with a bit of maths thrown in too!!! This would revolutionise baking with 4/5 year olds!! I’ve recently started University and absolutely love baking! However, I have had to leave all my baking equipment at home and just settle for watching ‘Bake Off’ in student halls instead due to it all being quite crammed! This little kitchen aid delight would allow me to have my #minimoment of happiness in my Student Kitchen due to it being light and compact allowing me to continue my hobby and start baking again! My #minimoment would be seeing my new, beautiful mini daughter-in-law’s face when I give her a mini mixer. I will have my children’s yummy birthday cakes baked in no time, no more elbow grease and hand mixing!!! Yeah! My #minimoment would be to make fresh bread with my children! 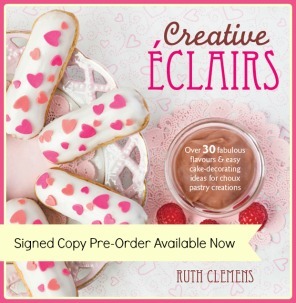 I would love to win this, to share it with my 12yr old – she loves to bake…. Fabulous prize, thanks for the opportunity to win it. What a fab giveaway! My first #minimoment would have to be baking chocolate cupcakes with my 9 year old twin boys who are really loving cooking and baking at the moment. My #minimoment would be whipping up a not so mini batch of cupcakes when I move in to my brand new home!